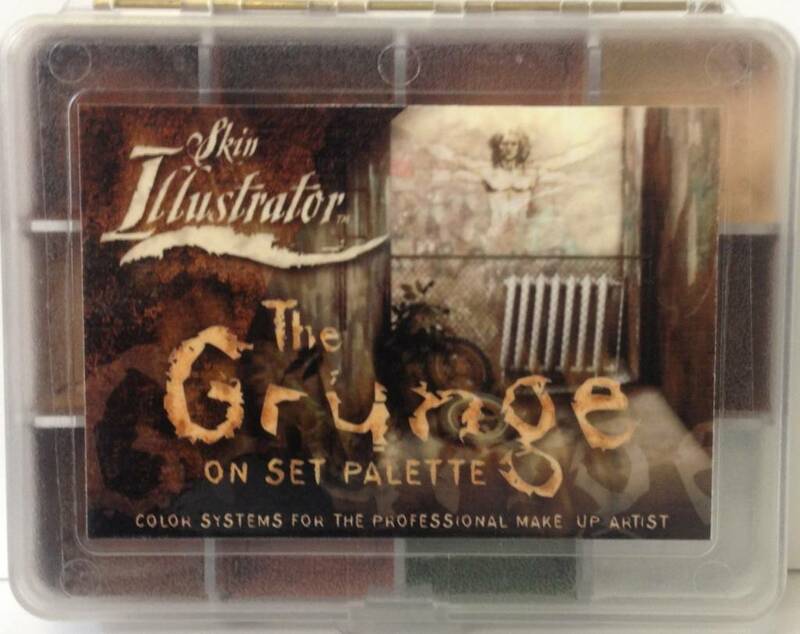 The Skin Illustrator On Set Grunge Palette is a mini version of the classic full size Skin Illustrator Grunge Palette. It has become an industry standard. This compact, pocket size palette contains the full ten colors of the larger Flesh Tone palette, but also an additional Rice Paper and a Vein Tone for that extra bit of color needed to make touch ups fast and easy. 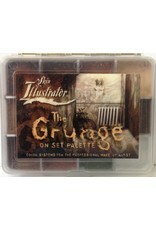 This palette is a must for any makeup FX artist. 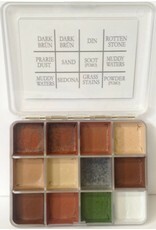 Use it alone, or in combination with other On Set Palettes.